Hi everyone we are the Reid Family. My name is Jayme and my husband Bilal and I got married almost 2 years ago. Even before we got married we decided that we would look into adopting a child. I wasn’t sure how that all worked so I began surfing the web and requesting information. Bilal and I happen to go to the local farmer’s market and one day there was a booth set up where they were giving out information about fostering children. We took the information to read over before eventually choosing to become foster parents. While we went through the Deciding Together Course (an alternative to TIPS-MAPP), we began to feel adoption was best for us because there are so many children out there that need a forever home. We got our foster care license and began watching the Adopt Kansas Kids website looking at children needing a forever home. 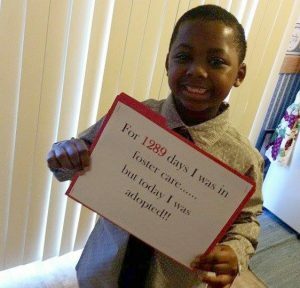 We came across a picture of little boy named Da’Mir and asked our foster care worker for more information. It was a little bit of a journey but finally got to meet him in person. I was terrified at our first meeting wondering what he would think of us or if he would like us. My husband took my hand and said if it is meant to be honey it will happen. We took him for lunch and I will never forget this as we were eating he says to us “you know you are my first white mommy and black daddy I ever had” so I asked him if that would by okay. He said “sure I just wanted you to know this” and hearing that made me feel so much better. We just meshed together that day as a family. We continued communication and contact plus we got to have a home visit with him. We were granted permission to become his foster parents and move him to our home on July 18, 2014. That was a big day for us as it was emotional for him leaving his previous foster home and moving to a new place. My husband and I took off 2 weeks to stay home with him to help with the adjustment. We decided to continue to the next step and adopt Da’Mir. This was not an easy process and when we read his file, it was heart breaking to read about the things he had been through. After reading the file we decided 100% we wanted to be Da’Mir’s parents and give him a chance at a new life with a forever family. I don’t think Da’Mir believed this was really going to happen but he did have his hopes up. I am sure children in his situation have gone through lots of disappointments but we did our best to reassure him. 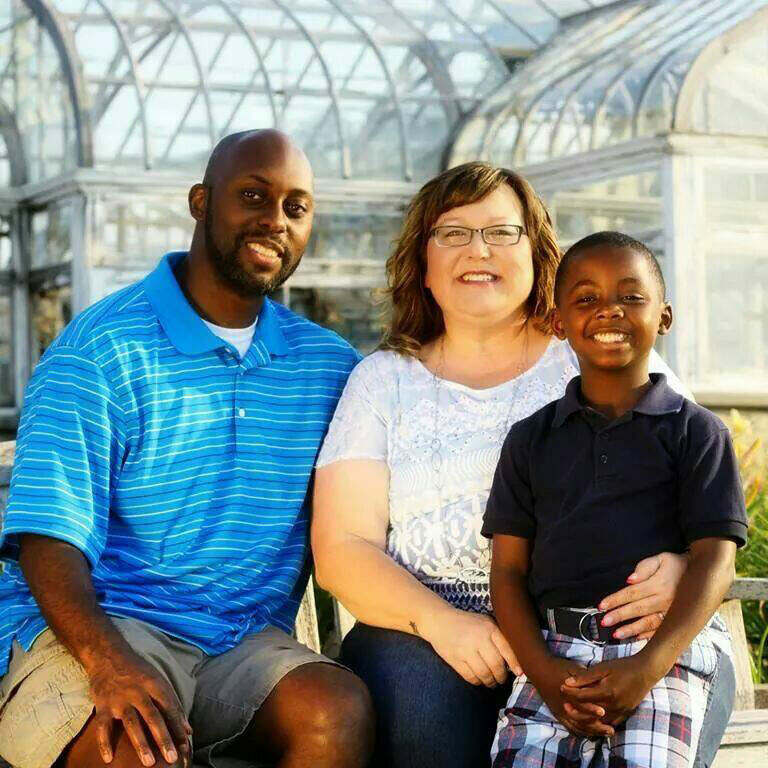 On February 26, 2015 after 1289 days in foster care, our son, Da’Mir, was adopted and given the last name Reid. When getting ready that morning to go to the courthouse he said it felt like a dream and that he couldn’t believe it was really going to happen. I assured him no matter what, it was going to happen today and he will have a new middle name and last name. We had family and friends attend this wonderful event and it was such a special day. Our son just beamed ear to ear telling everyone I am here forever and I am not going anywhere. Adoption is special to us because you are giving a child security and a future. You think you are giving them love, family and a home but you are giving them so much more. This has changed our life so much but for the better, it is such a blessing. I am not going to lie he has a lot of energy but we keep up with him however when he goes to bed around 8 we are in at 9. Our friends giggle when we say that but it is so true. We wouldn’t have it any other way! We can’t see our life without him. We are doing well and enjoying our life together. We continue to have first experiences with him and it feels like a new chapter in a book each time. As a family we take one day at a time and are thankful for the time we have with him. We may be teaching him to be a young man but he is teaching us so much too. We love this child so much. He has called us mommy and daddy since day one but it is great to know I am legally his mommy. I recommend this to so many people that are interested in adoption because there are so many children of all ages needing a forever home. Adoption is so special to us because we were able to make a difference in a child’s life. We tell him it makes him more special because he chose us and we thank him for that often.